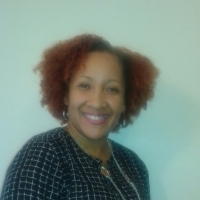 I am a Licensed Professional Counselor with a Masters Degree in Counseling in the state of Michigan. My experience includes providing individual counseling, couples counseling, group counseling and crisis intervention. I have worked with clients in non-profit human service and community mental health settings, as well as in Private Practice. As a psychotherapist I work in partnership with you to identify and resolve problematic life issues. I teach you concrete solutions that, when implemented appropriately, assist you in moving toward emotional and mental wellness. My areas of specialty include anger issues, trauma, domestic violence, depression, stress management, spirituality, relationship issues and family conflict. My treatment approach combines Person-Centered Therapy, Cognitive Behavioral Therapy and other modalities as appropriate. Making the decision to seek therapy can be difficult and I will assist you to make the process less intimidating. Because each individual's situation is different, I utilize an approach that is centered around your needs. I work with you at your level of comfort. I look forward to working with you! But seriously, I do not feel judged for my actions or mental state when talking with Naquisha. She asks the right questions even when I, at the time, don't realize they are the right questions, so she finds the answers I cannot find myself. Naquisha is always helpful and is always sure to address every part of the messages I send. I never feel like something that's on my mind is being ignored for the sake of something else I've mentioned. She regularly checks up on/messages me if I disappear without contact for a while, and she responds to my messages in a very timely manner. Naquisha created a deep, significant change in my life and helped me through one of the most difficult times of my life. I highly recommend her! Naquisha provides a safe atmosphere with honest and direct feedback and clear, precise questions. Would you like to write a review for Naquisha Howard-Stubbs? We'd appreciate if you can spend a couple of minutes to write a short review for Naquisha Howard-Stubbs (MA, LPC, Naquisha). This review would be shared with Naquisha Howard-Stubbs. It may also be posted in our website or in Naquisha Howard-Stubbs's profile but it would be anonymous and your identity would be kept completely confidential.